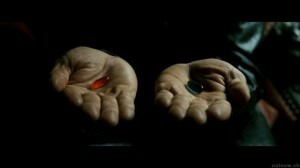 In the movie The Matrix there is an iconic scene where Neo is offered a choice. Take the red pill and learn the truth. The whole truth. With the drawback being that you can never go back. Or take the blue pill, forget everything you've learned, and go back to life the way it was - comfortable, familiar, totally deluded, dying by inches. I kind of feel that way about food. I don't remember anyone ever offering me a pill, but somewhere along the line I swallowed one. Now I can't go back. As tiring as it is to look in the refrigerator and sigh, "What can I eat? ", as frustrating as it is to try to figure out how to get my family to eat that mystery green item that came in the farm box, as much as I miss the happy days in the kitchen whipping up delicious cookies, breads, cakes, and marshmallows, I can't go back. You can't unknow knowledge. I used to not think about the food I ate. If it looked good and tasted good, I ate it. It was not uncommon for a bag of Oreos to jump off the shelf into my cart at the grocery store. When they begged for it, I'd buy my kids sugary breakfast cereals, as a special treat. I also caved when they wanted Otter Pops and I'd have a whole Costco-sized box of them in my freezer all summer long. Some of my husband's favorite recipes feature Cool Whip as a key ingredient; we used to joke that he considered it one of the four basic food groups. And I lived on Diet Coke. Hey, I needed to balance out all those cookies, right? Then I started a food blog. 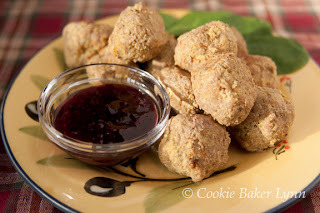 As I blogged my kitchen exploits, I started reading other blogs and learned from them. I learned recipes, tips, techniques, and I also started seeing a different way of thinking about food. Local, organic, sustainable? Pshaw! That was for weird hippies. Bring on the cookie recipes! Show me the chocolate! Let there be bread! Then my daughter introduced me to Nourishing Traditions, a cookbook/textbook that fosters the radical notion that food is for nourishment. We should eat to sustain and strengthen our bodies, not for entertainment or pleasure. I read through the work of Dr. Westin Price, who traveled the world documenting that traditional people groups who ate their traditional diet had straight, strong, white teeth. Dental caries did not show up until western diets were introduced. I started reading labels. So many of the foods I used to buy contained high fructose corn syrup, hydrogenated fats, and chemical compounds I couldn't even pronounce. Foods marketed to kids had upwards of 30 grams of sugar a serving and a host of preservatives and artificial colors and flavors. I started to realize that couldn't be good for my family! Many people would say our diet is odd, unrealistic, or extreme. No grains? Come on! No processed sugar? Right, how's that supposed to work? But now that I know what I know, I can't go back. I can't feed my family food that will make them sick. 1- Place all of the ingredients into a food processor and pulse until smooth. 2- Divide the mixture into 24 equal portions and shape them with your hands into meatballs. 3- In a large skillet over medium-high heat, heat several tablespoons of olive oil or coconut oil. When it's hot enough so that a small piece of meat sizzles when dropped in the oil, put all the meatballs in. 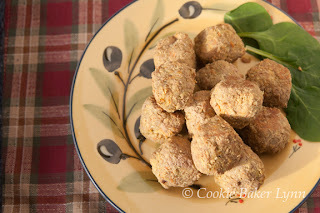 4- Cook for two minutes, then roll the meatballs over and cook five minutes more. Put a lid on the pan and finish cooking for another 6-8 minutes. You can't go back from what works. And you know I'm always more than happy to eat at your house. Those meat balls would seem to make anybody happy. I agree with Tanna, and I bet eating those meat balls would be a pleasurable experience, too. Nutrition is fine, but I must admit I like the addition of pleasure to eating when possible. It helps the digestion. I have to admire your switch to change your families eating habits Lynn. 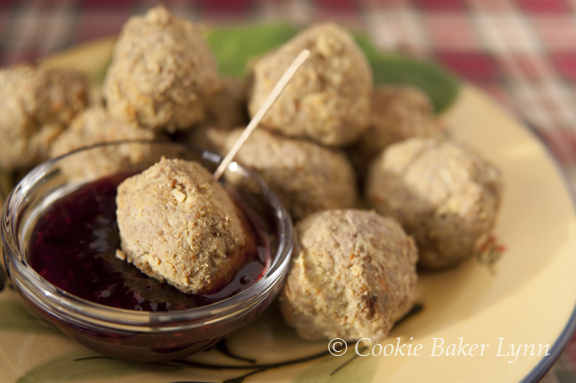 Although I try an eat healthily I am sure that these meatballs would give me sheer, unadulterated pleasure!! I would like these sans the horrible cilantro. But you knew that. Thanks for sharing all of this! I particularly liked your recipe for your gluten free treats. Those are hard to come by. There are awesome macaroonshops in NJ.